Cooler Master today introduced the TRAVELER N2U-100 and TRAVELER U5P-100 smart phone covers to their line of mobile products. 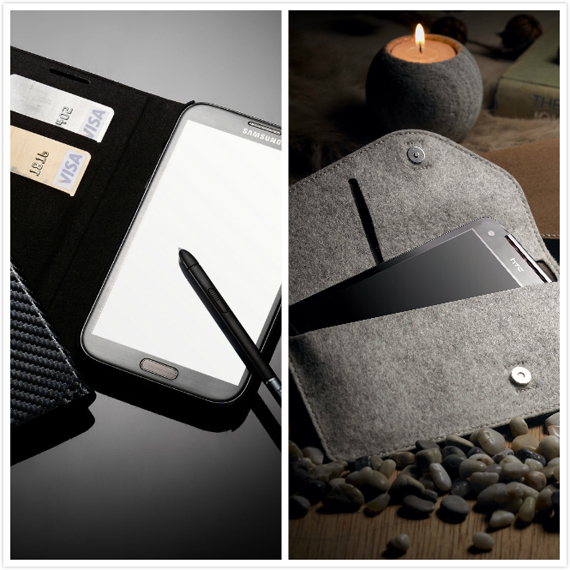 The Samsung Galaxy Note II Cover Of The Future Is Here Now! The TRAVELER N2U-100 Is The First Carbon Texture Leather Case with Built In Stand and Credit Card Pockets. One look at the TRAVELER N2U-100 tells you everything you need to know. It's a captivating blend of dynamic style and luxury. The carbon textured leather and silk rubber coated frame gives you the look of an executive while protecting your smart phone from drops, dust and spills. A soft inner prevents scratches. Cuts outs give you full access to all ports, controls, and cameras. You can even answer calls without opening the folio. The cover transforms into a stand for hands free viewing. Now you can watch a movie, chat, and type in total comfort. Two pockets on the inside cover can hold cards, money and important notes. The TRAVELER N2U-100 Folio is one handsomely styled, elegant cover for your Samsung Galaxy Note II. Your wallet, your smart phone, and receipts. It can be a pain having to carry around so much in your pockets. Well, the TRAVELER U5P-100 is here to help you. The TRAVELER U5P-100 is a sleeve that can store any smart phone up to 5". Yet it's comfortably small. So you can keep it in your pocket or purse all day long - at lunch, on the airplane and in traffic. A water repellent wool felt interior protects your smart phone from scratches, spills, drops and dust. A paper leather exterior combines style with long lasting elegant accents. Store your cards, cash and other valuables inside the built in pockets. The TRAVELER U5P-100 is the perfect sleeve for even someone who owns multiple smart phones.